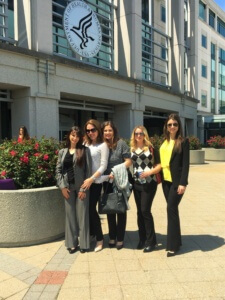 This week, the MBP Team had the opportunity to visit the Centers for Medicare and Medicaid Services (CMS). If you’ve never been, it is definitely worth checking out especially if you deal with Medicare and Medicaid on a daily basis. A calendar of events is posted on their website and entry is generally free if you sign up for a conference. A hot topic that has been buzzing around the healthcare community is practice transformation. If you are not familiar with the term, CMS defines the initiative as a means to support a large-scale health transformation for over 140,000 clinician practices over the span of several years by advancing their comprehensive quality improvement strategies. It is very closely linked to the Affordable Care Act as it promotes the same criteria. 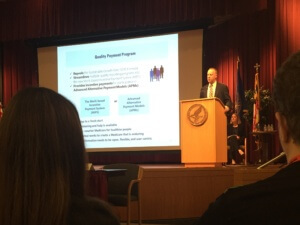 Some of this criteria includes bolstering broad payment and practice reform in PCP and SCP practices, boosting care coordination between providers of services and suppliers, corroborating community-based health sects to support chronic care management and ensuring improved quality and cost reduction by collaborating institutions that understand and support practice transformation. There are two types of networks that help physicians get the most out of Medicare and Medicaid. The first one is the most popular type which we’ve briefly touched on: Practice Transformation Networks (PTN). The most notable aspect of this network is the peer-based learning networks that are specifically devised to mentor clinicians but to assist them in developing distinct capabilities. 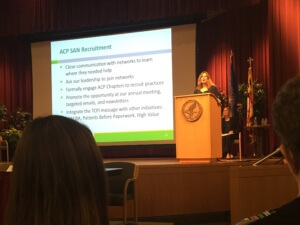 The second type of network is the Support and Alliance Network (SAN) which provides workplace development that applies the efforts of national and regional professional alliances and public/private partnerships. Continuing medical education, maintaining up-to-date certifications and core competency develop are the foot marks of sustainability of this system. The continuing support of clinicians in small, rural, and medically under-served communities plays a large role in the calibration to new teachings. Through all this information, the most important part to take away from this is that if you are interested in becoming a part of PTN or SAN, there are many resources available to you for help starting with your billing and practice management organization. Whether you are a giant multi-clinician, multi-specialty practice or a small solo practitioner having peer-based mentoring and assistance is a great addition to a successful practice. At Medical Business Partners, we are dedicated to staying up to date on the latest programs available to physicians and their practices. Training is an essential priority that we believe helps medical businesses achieve their greatest potential. If you’d like to see where your practice stands in this network, we would love to take a look!